On your 1974 1975 1976 1977 1978 Trans Am and Firebird had a very cool GM option. This was color coded tapes (decals which inserted onto the exterior door handles. 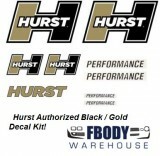 It matched the body color and Fbodywarehouse has a huge selection of these in various colors. We also offer a line of custom ones which say “4 Wheel Disc” “Special Edition” and Bandit. Sold as a pair so one set does both doors! 1976 - 1981 Trans Am Special Edition Door Handle Decals. 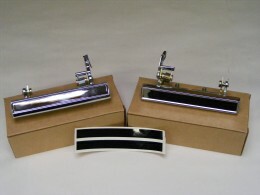 1977 - 1981 Trans Am 4 Wheel Disc Door Handle Decals. Gold Bandit Door Decals PAIR Smokey & the Bandit NEW!